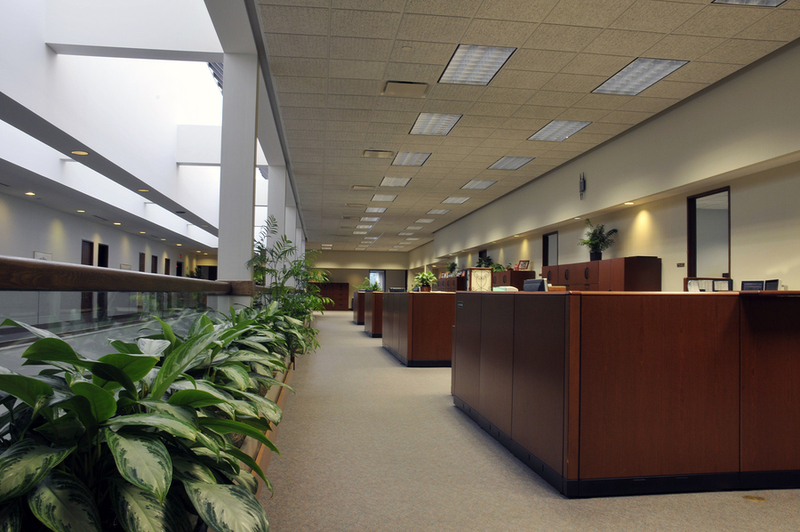 Exhibiting a bright, welcoming office interior is very important for every business for a multitude of reasons. Considering workers spend an average of 40+ hours per week at their office, having an interior that makes employees comfortable is important for job satisfaction and low turnover rates. Having a professional and inviting interior is also important for attracting new potential employees and can help send a message to potential clients that your business is professional and organized. There are many ways to brighten office interiors and make it more appealing to the people working there. Having a communal place for coworkers to get a quick cup of coffee or sparkling water and catch up will help improve camaraderie between coworkers and job satisfaction. Decorating with pictures, motivational sayings, and fun wallpaper will also make the space seem brighter and more inviting. Having a comfortable and safe climate in the office is also important; for example, an air filter can reduce the spread of germs and the number of people out sick. Desk heaters or fans can help during the bitter winter mornings and muggy summer afternoons. Buying some plants to place around the office is another easy way to brighten up the space and make it seem homier. There are a multitude of benefits that come with having plants in the office, which include stress reduction and an increase in productivity. They can also help improve psychological health and produce fresh air that is healthier for workers to breathe. Plants also help reduce noise levels by decreasing the area of smooth surfaces that sounds waves can bounce off. Additionally, elements of nature in the office will make the workplace more attractive to new applicants because the plants calm the space and make it seem more comfortable and inviting.